As part of the National Cattlemens' Beef Association webinar series, the eBEEF team conducted four webinars in the spring of 2018 focused on genetic selection tools available to beef cattle producers and how to put them into practice. The first webinar, "Fake News: EPDs don't work", focused on the fundamental principles of EPDs and common misconceptions. Examples include the differences between birth weight and calving ease EPD, what "milk" EPD really is, and the perception that "more is better". The second webinar discussed the concept and use of economic selection indexes. Economic selection indexes are a collection of EPD that are relevant to a particular breeding objective and are weighted according to each trait's relative economic importance. These can serve as a very valuable means of selecting for multiple traits at the same time and ultimately determining the differences in net profit between two bulls. The majority of beef breed offer at least one index. The third webinar focused on an old, yet still very valuable, tool—crossbreeding. This webinar defines what heterosis is and details the science behind the benefits of crossbreeding. The final webinar provided real-world bull buying examples as an opportunity to put all of the tools together to make a decision. These four webinars can be found on the videos and webinars page. The eBEEF team is comprised of beef cattle genetics extension specialists from the University of Kentucky, The University of California-Davis, Kansas State University, the University of Missouri, and the University of Nebraska-Lincoln. 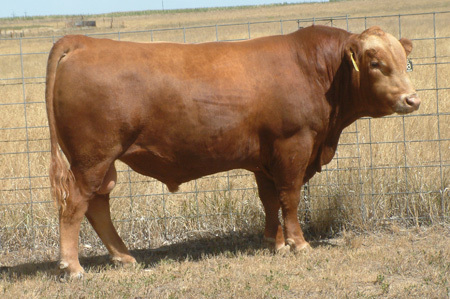 Additional information relative to beef cattle genetics can be found at www.eBEEF.org.